Are you looking for a stocking stuffer for a young girl? Or just something a little extra in her present. 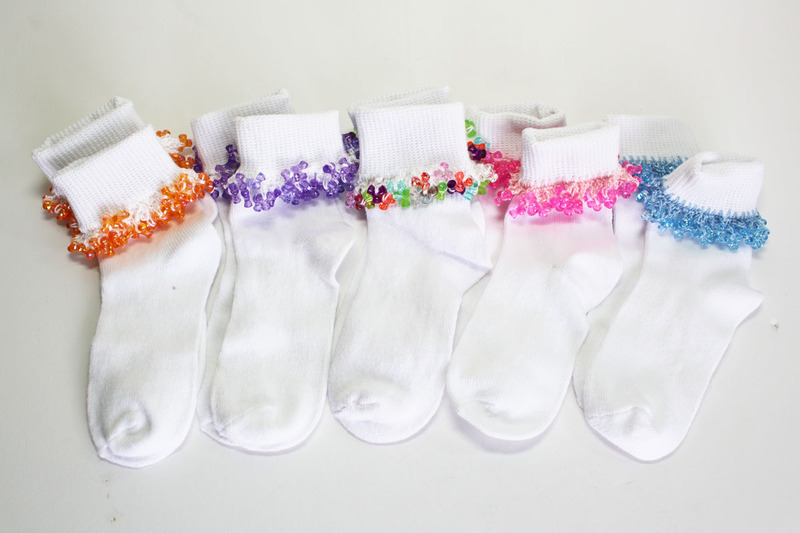 Check out Creations KMA on Etsy to purchase a pair of adorable white socks with beads. The sizes range from Infants to Girls Shoe Size 9-2. There are a few pair with crocheted edges for infants as well. Use code 2012NOV10 for 10% off on everything on the site. It is good through Nov 30. This entry was posted in CreationsKMA by Karen Grosz. Bookmark the permalink.